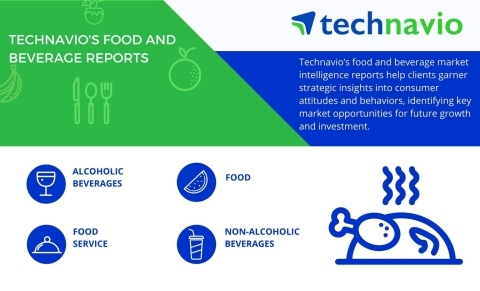 Technavio’s latest market research report on the global palm oil market provides an analysis of the most important trends expected to impact the market outlook from 2017-2021. Technavio defines an emerging trend as a factor that has the potential to significantly impact the market and contribute to its growth or decline. One of the key factors resulting in the growth of the global palm oil market is the low prices of palm oil, making it affordable to consumers in emerging economies. Therefore, palm oil is popular and consumed in high volumes in Asian and African countries. The low production cost results in decreased prices for palm oil. In major palm oil-producing countries like Indonesia and Malaysia, there has been a significant increase in cases of deforestation for the plantation of palm oil crop as the demand for palm oil is increasing rapidly. This has led to negative impacts on the environment causing organizations and major stakeholders of palm oil industry to form a consortium called Roundtable on Sustainable Palm Oil (RSPO). RSPO devises rules and regulations that promote the use of sustainable palm oil. As per the RSPO, certified sustainable palm oil should follow eight principles. These principles revolve around the production of palm oil in a manner that it does not impact the environment, wherein planting new seeds/plantings to compensate for the deforestation caused is one of the major principles. Therefore, the companies in the palm oil market must adhere to these principles to come up with Certified Sustainable Palm Oil (CSPO). Palm oil is widely used in the oleochemical industry. Oleochemicals are the oils and fats derived out of the natural plant and animal sources that are further broken down into constituents like fatty acids, esters, glycerol, and others. Palm fruit oil is used to prepare oleoresins. Palm fruit oil is processed to obtain palm olein and palm stearin. Most of the oleochemicals produced using palm oil are used to manufacture surfactants and the oleochemicals obtained from palm kernel oil are widely used in food processing. The reason to use palm oil as a major raw material in oleochemical industries is that it is a perennial crop and is available throughout the year. The expansion of the oleochemical industry, leading to an increase in the scope of oleochemical products, will eventually contribute to the growth of global palm oil market. Palm oil is one of the major ingredients in most cosmetic products and is used in lip balms and lipsticks due to its luster and color-holding aspects. It provides a creamy texture to the products, which permits a smooth gliding application. Hydrogenated palm oil is widely used in cosmetics to enable viscosity in the product. Palm oil contains tocotrienols, which belongs to the family of vitamin E that are useful in treating several skin ailments. The combination of tocotrienols and tocopherols provide a healing effect by penetrating deep into the skin and hence are widely used in skin care cosmetics due to their anti-aging properties. “Palm kernel oil is rich in vitamin E and beta-carotene. Beta-carotene is responsible for the production of vitamin A that promotes the growth of shiny and healthy hair. Palm oil is also used in cosmetics to heal sunburns and stretch marks thereby increasing its demand in the cosmetic industry. Palm oil is a natural product with properties that enhance beauty aspects and the increasing use of natural and herbal ingredients in cosmetic products, in a bid to avoid side-effects, is promoting its demand,” says Manjunath.